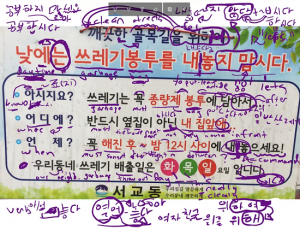 Notes: Color words that end in “색” are nouns. However, these words are often used like adjectives by placing them before a noun. Notes: The Konglish word “핑크(색)” is used more and more commonly these days. 물이 왜 이렇게 회색이에요? = Why is the water grey like this? Notes: Compound verb of 내리다 and 오다. This word appears in Korean Sign Explanation Video 16. Notes: Compound verb of 내리다 and 가다. This is also used to refer to going down (geographically) in the country. Notes: 푸르다 gets conjugated into 푸르러(요) when ~아/어 is added to it. I don’t know of any other word that acts like this. 얼굴이 왜 이렇게 빨개요? = Why is your face so red? 이렇게 아프면 약을 먹어야 돼요! = If you are this sick, you should take some medicine! 왜 이렇게 일찍 가요? = Why are you going so early (like this)? 이 일은 왜 이렇게 어려워요? = Why is this so hard (like this)? 이 인터넷은 왜 이렇게 느려요? = Why is this internet so slow (like this)? Many other grammatical principles are commonly added to 그렇다. I discuss this more in the actual lesson below. 아빠는 왜 저렇게 말하고 있어요? = Why is dad talking like that? 저 사람이 왜 저렇게 걸어요? = Why is that person walking like that? Often times “의” is attached to 대부분 when it describes an upcoming noun. Notes: You can use the word “꽃다발” to indicate that you bought a bunch or “bouquet” of flowers. 그 마트에서 바나나 한 송이가 얼마예요 = How much is one bushel of bananas at that mart? Notes: 종류 and 가지 have the same meaning. They are used as a counter when you are talking about types of things. 어떤 종류의 차를 원해요? = What type of car do you want? In this lesson, you will learn how to use colors in Korean by applying the ㅎ irregular. In addition, you will learn about the words 이렇다, 그렇다 and 저렇다 and how the ㅎ irregular can be applied to those words. Let’s get started. 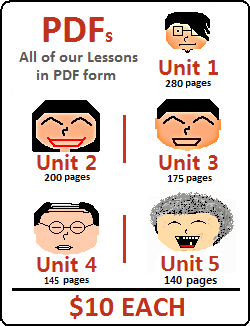 You learned all about the Korean irregulars in Lesson 7. On top of all of those irregulars, there is one more that you should be aware of. Here, each of these “color” nouns is describing an upcoming noun without being an adjective. This is a good time to teach you about another usage of the particle “~의”. “~의” can be attached to words that commonly describe nouns (like adjectives) but are inherently not adjectives. What I mean by this, is that you will often find words that are always (or very commonly) placed before nouns to describe them, but are technically classified as adverbs or nouns (and hence, don’t end with “~다” like a typical adjective). It is acceptable to attach the particle “~의” to these adjective-like adverbs or nouns when they describe an upcoming noun. The meaning is the same when using “~의” or not using it, but in speech it is more common to not use it. Although acceptable and understandable, it would be slightly more natural to not use ~의 with these color words. 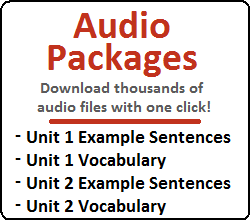 Therefore, I didn’t make audio recordings for the sentences above using ~의. In other situations with other (non-color) words, you will more commonly see ~의 attached to a noun or adverb being used to describe a noun. The number-counter pairs in the above sentences are effectively describing the upcoming noun. Of course, the number-counter pairs are not adjectives, so ~의 can be used. 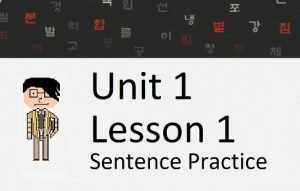 I dig deeper into the use of “의” and specifically how it relates to “적” (which was introduced in Lesson 16) later in the lesson. I want you to be aware of this usage of ~의 and how it can be attached to adverbs and nouns when describing an upcoming noun. However, the main purpose of this lesson is to talk about color words and the ㅎ irregular, so I will continue with that now. When adding “~아/어” (or any of its derivatives) to color words where the stem ends in ‘ㅎ,’ an irregular conjugation applies. For now, the only situation you know where you would add ~아/어 (or a derivative like ~았/었) is when conjugating using the honorifics introduced in Lesson 6. Note that there are other times when you would have to add ~아/어 to words, you just haven’t learned about them yet. 얼굴이 왜 빨개요? = Why is your face red? The table below shows all of the additions you have learned so far that can cause a change to a word stem. This table shows how these additions affect various words, including words that follow the ㅎ irregular. Examples where irregulars apply are in bold. You will learn more additions in later lessons. In those lessons, you will learn how each addition affects each irregular – including the ㅎ irregular. The words 이렇다, 그렇다 and 저렇다 are not colors, but they also follow the ㅎ irregular. I will talk about those in the section below. 이렇다, 그렇다 and 저렇다 are all adjectives. Each word is essentially the same – the only difference being the difference between 이, 그 and 저. Remember the difference between these? 저 means “that” when something is far from you. 이렇다, 그렇다 and 저렇다 are very important and common in Korean, so let’s look at them one by one. You’ll notice that in the last two examples, the words “like this” in English don’t necessarily need to be in the sentence. It is hard to fully explain in words, as this is something that you really just pick up after a while when learning Korean. When Korean people ask a “why” question, they often stress “why” by using 이렇게. 저렇다 can be used the same way as 이렇다 and 그렇다; as 저런 and 저렇게. All you need to do is to keep in mind the differences between 이, 그 and 저. Just like our color words presented earlier in this lesson, when ~아/어 (or a derivative) is added to 이렇다, 그렇다 or 저렇다, an irregular conjugation occurs. Let’s look at this next. 이 학교도 그렇지 않습니까? = Is this school not like that as well? Notice that the sameㅎ irregular applies to the words above. That is, when adding ~아/어 (or one of its derivatives), the ㅎ is dropped and the ㅓ changes to ㅐ. Person 1: 내일 공원에 같이 가고 싶어요? = Do you want to go to the park together tomorrow? Person 2: 그래요. 같이 가요 = Sure (like that is fine). Let’s go together. Person 2: 그래요! 월요일에 봐요! = Sure (like that is fine). See you on Monday! Person 2: 그래요? 어디에 갔어요? = Really!? (It’s like that?) Where did you go? Person 2: 그래? 왜 안 먹어? = Really? (It’s like that?) Why don’t you eat it? Many other grammatical principles can be added to 이렇다, 그렇다 and 저렇다 but these haven’t been introduced yet. c) How this meaning can be applied to many, many other grammatical principles. This list is by no means exhaustive, but rather a small taste of some of the concepts that you will be learning in the next 100 lessons or so. At this point, I hope you can understand how 이렇다, 그렇다 and 저렇다 can be used, and their general meanings. In addition, I hope you can understand how color words can be used in sentences. Just below, I will continue the discussion of the use of ~의 and how it is used on words where ~적 is commonly attached. I have had some people ask me about the difference between using “의” on a word to describe a noun (like 흰색의 차) and using “적” on a word to describe a noun. The grammar below is a little bit advanced, but this is the lesson that it belongs in (as I am already discussing the purpose of “~의” attached to nouns or adverbs to describe an upcoming noun). It might be good to glimpse over this, and then come back to it later when you have a better understanding of Korean grammar. Before I start, I want to first mention that the “의” that we are talking about here is not the possessive particle that is discussed in Lesson 3. Rather, it is a particle that is added to a word that is inherently not an adjective, but allows it to describe an upcoming noun (like an adjective). Most of the time, adding “적” literally changes the translation of the word. As you can see in the list above, the word changes when “적” is added. For example, from “passion” to “passionate”. However, when just “의” is added to the word, the translation would not change – and using “noun+의” only makes sense if that word (the original word) can actually act as an adjective (without being an adjective) to begin with. However, “과학의 증거” literally translates to “science proof” which wouldn’t sound right. Now, just like everything in life, there are some exceptions. Specifically, the word “개인” (without the use of “적” or “의” actually means personal. Therefore, just like how the word “대부분(의)” (most) isn’t actually an adjective but feels like an adjective, “개인의” can be placed before a noun to describe it. My advice is to learn words with “적” as separate words. Don’t try to think of words with “적” as a noun followed by a grammatical principle, but try to think of them as their own words with their own translation. From what I can see – there are some words where the “-적” version of the word is the same as the non-적 version of the word. In these cases, it appears that both “의” and “적” can be used.